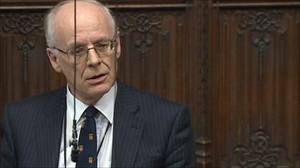 The House on Tuesday debated four motions relating to reform of the Lords. The lead motion was moved by the Leader of the House, Baroness Stowell, recognising the case for incremental reform in dealing with the size of the House. There were 45 speakers, so there was an advisory speaking time of six minutes. So good were peers in sticking to the time that we actually finished ahead of schedule. I spoke and emphasised the need to start with a clear recognition of why reform is necessary – we accept the House is too large, but almost take that as given – and need to put size in context. Electors attach even more importance to the way in peers are appointed. I also made the point that the various reform options were not mutually exclusive. There is some support for an age limit, but that is a reform with the politics left out. Imposing an age limit of 80 would work to the disadvantage primarily of the Conservatives and the cross-benchers. I drew attention to the case for intra-party elections after each general election. You can reach the speech here. It was clear from the debate that there is recognition that we need to act and that no one reform will achieve anything close to unanimity. Various references were made to the Campaign for an Effective Second Chamber, which Lord Cormack and I founded and run, and the fact we are working on an options paper. Some reform may be achieved through resolution of the House, or through developing conventions, and others will require legislation. The Government have effectively handed the issue to the House. As I mentioned, the political will exists in the House. We have already achieved reform – the House of Lords Reform Act 2014 and the House of Lords (Expulsion and Suspension) Act 2015. The obstacle to incremental reform has not been the Lords, but successive governments; we have had to persuade them to support, or at least not oppose, the legislation. This time, the Government is willing to listen and make progress. This entry was posted in Uncategorized and tagged Baroness Stowell, Campaign for an Effective Second Chamber, House of Lords (Expulsion and Suspension) Act 2015, House of Lords reform, House of Lords Reform Act 2014, Lord Cormack. Bookmark the permalink. I commend the idea of intra-party elections after each general election. I believe this could be an important step towards democratising the House, though it will not wholly placate those who demand a fully-elected upper chamber. Soon after each general election, the peers within each party group would then select peers to fill the party’s share of the quota. For example, the Conservatives received 36.8% of the vote at the last general election. The Conservative party group in the Lords would then select 221 peers towards filling the quota (if set at 600 and the Crossbenchers are in addition to, rather than within, it). Labour, with 30.5%, would select 183, and so on. Hereditary peers and bishops would not have an independent share of the overall quota, but each of them could stand for selection by a party group from within that party’s share. This introduces a form of proportional representation and increases the legitimacy of the House’s role as a check on the Government of the day. It also preserves the opportunity to include peerages within the honours system to recognise achievement in various fields without simultaneously providing the recipients an automatic role in the legislature. New peers could still be created at any time, but only those selected by the party groups would sit in the House (excepting Crossbenchers). When a sitting peer vacates his or her seat by death, retirement, or otherwise, the relevant party group would hold a by-election just as the hereditary peers do today. Peers created since the last general election within the affected party group could stand for selection at that time, or wait for the next party-wide selection for the following parliament after the next general election. One could further ensure that the Prime Minister and Leader of the Opposition could continue to select peers for inclusion in the cabinet or shadow cabinet by reserving a fixed number of seats–perhaps 5 or 10–within each respective party’s quota, for designation by the party leader rather than selection by the party group. So, using the example above, rather than selecting 221 peers to sit in the House, the Conservative party group would select 216 and the remaining 5 seats would be understood to be within the gift of the party leader for the purpose of choosing cabinet or shadow cabinet members. Again, this intra-party selection process would likely not satisfy those demanding a fully-elected upper chamber, but I believe it is a refreshing step to ameliorate the concerns for the size of the House, the ability of a prime minister to manipulate the composition of the House through the creation process, and the perception that the House is illegitimate because its composition bears no relation to the will of the voters at the previous general election. I notice another sign of progress in modernising the House is the appointment of the first female Lord Spiritual. But is she really officially the Lord Bishop of Gloucester? If so, you have your first female Lord, as opposed to Lady or Baroness. Could you offer any insight?